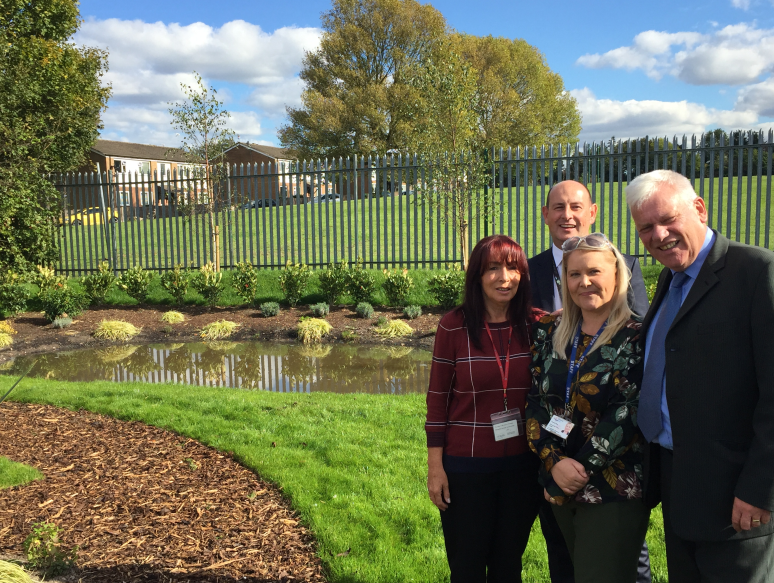 On Friday 28 September, Councillor Graham Morgan, leader of the council along with Councillor Colin Dever and Councillor Christine Bannon officially opened the newly landscaped gardens at the Age UK Mid-Mersey Roby Hub during an open day to mark the end of 12 months of extensive renovations. One of the biggest projects in the renovation was the transformation of the garden, which was often waterlogged due to poor drainage and unused by visitors to the centre. Working with Roby Hub, Bellway Homes designed an outdoor area that would serve local residents as well as wildlife, they also donated all the materials required to deliver the project and undertook all of the work.